If you’re looking for Great Live Wedding Band, then look no further . . The Cassettes have played hundreds of Wedding Parties all over the United Kingdom. We feel very honoured to have been chosen to play for many happy couples, their friends and family. 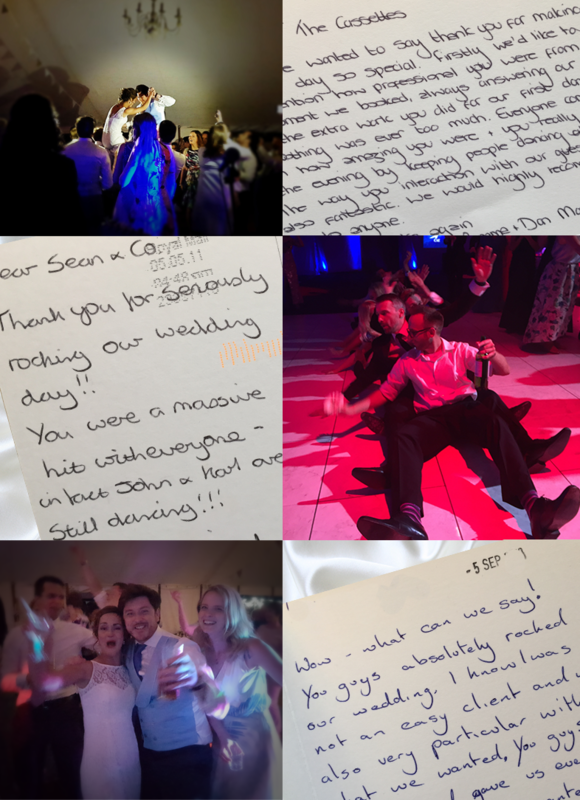 A Wedding is a Truly Fabulous Occasion and we have been lucky enough to play hundreds and hundreds of them all over the UK and beyond..
We’ll help you end your big day with a Bang! As well as sounding great and being lots of fun, our years of experience can be a real asset when planning a party. We can guide you with timings and alert you to issues you may not have considered such as sound limits etc. We’re the band of choice for many venues in the South East. We’re professional and easy to work with. No Egos here. We bring everything we need to get your Party jumping!